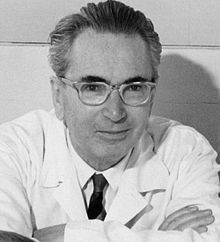 Viktor Emil Frankl, M.D., Ph.D. (26 March 1905 – 2 September 1997) was an Austrian neurologist and psychiatrist and a Holocaust survivor. Frankl was the founder of logotherapy, which is a form of existential analysis, the "Third Viennese School of Psychotherapy". His best-selling book Man's Search for Meaning chronicles his experiences as a concentration camp inmate which led him to discover the importance of finding meaning in all forms of existence, even the most sordid ones, and thus, a reason to continue living. Frankl became one of the key figures in existential therapy and a prominent source of inspiration for humanistic psychologists. It is true, Logotherapy, deals with the Logos; it deals with Meaning. Specifically I see Logotherapy in helping others to see meaning in life. But we cannot “give” meaning to the life of others. And if this is true of meaning per se, how much does it hold for Ultimate Meaning? For the first time in my life I was able to understand the meaning of the words, "The angels are lost in perpetual contemplation of an infinite glory." And since Hiroshima we know what is at stake. You may of course ask whether we really need to refer to "saints." Wouldn't it suffice just to refer to decent people? It is true that they form a minority. More than that, they always will remain a minority. And yet I see therein the very challenge to join the minority. For the world is in a bad state, but everything will become still worse unless each of us does his best. Between stimulus and response lies a space. In that space lie our freedom and power to choose a response. In our response lies our growth and our happiness. Stephen Covey summarising a thought he attributed to Viktor Frankl. Widely attributed directly, and incorrectly, to Frankl. This page was last edited on 6 September 2018, at 17:07.